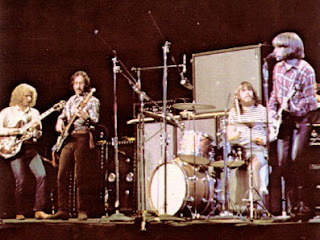 This is Creedence Clearwater Revival live on the closing night of the Fillmore West in San Francisco, way back in 1971. Ironically the band were starting to fall apart at this time, following an intense period of recording and touring that had lasted since the late 1960's, during which they achieved considerable critical acclaim, along with a number of highly successful albums. Recognising the milestone that was the Fillmore West closing, the band performed a concert that was relevant, and a must for any fan of the band, or the era. This then is Creedence Clearwater Revival at the Fillmore West closing night, San Francisco, California, USA, on July 4th 1971. The set list includes the source for the concert KSAN FM, possibly the most appreciated alternative radio source in the USA at that time. 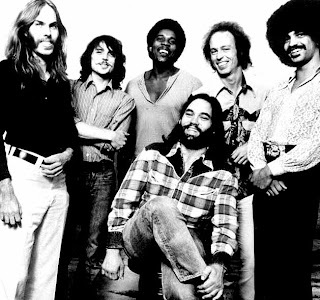 This is Little Feat live at The Fox Theatre, Atlanta, Georgia, USA on May 23rd 1975. This was at the peak of the Lowell George era, when Little Feat influenced the likes of Led Zeppelin and The Rolling Stones. The Wikipedia entry for Little Feat is quite concise, and covers this period, along with the subsequent development of the band down to present day. Musically this is a fine concert and I know I have said this about other bands boots, however this really is a good introduction to the band for those unfamiliar with Little Feat. * with guest Bonnie Raitt.